Stubbornly crafted beer from Eau Claire Wisconsin. The Brewing Projekt’s mission is to create damn good beer. Not beer that EVERYONE will like; rather beer that many will love. Boring just isn’t our style. If that’s what you want… Go somewhere else. 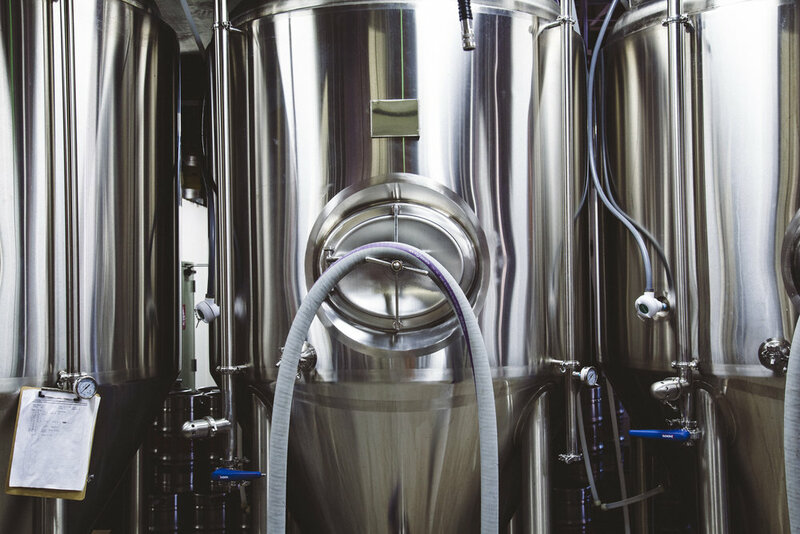 Started in May of 2013, The Brewing Projekt faced more adversity than most businesses will go through in their life cycle before it could legally open. After signing a lease, on what was the brewery's original location, partisan gridlock brought the federal government to a screeching halt in the Fall of 2013. The shutdown caused a backlog in the processing of federal applications that resulted in a three month delay. Due to the terms of the original lease The Brewing Projekt had to be in operation on April 1, 2014. Because The Brewing Projekt could not legally operate, the lease expired and the brewery was homeless. After a mad scramble and touring practically every commercial building in Eau Claire, a new application was sent in for approval of our current location at 2000 North Oxford Avenue, downtown Eau Claire. Restarting the federal application process put The Brewing Projekt in the back of the line. One month passed, then two, then three without any word from the Feds. After making a few phone calls the staff of a Wisconsin Senator latched onto our file and helped get us the approval we needed to go forward. The next step was to get The State of Wisconsin to sign off. Easier said than done. Because of Wisconsin’s antiquated liquor laws, The Brewing Projekt endured what one media outlet referred to as "brewery screwery". After battling back and forth with the state over ownership, management, contract terms, etc. etc. The Brewing Projekt was finally granted its state permits nearly two years after the business was started. After a mad dash to re-secure financing, equipment, staff, and sanity, The Brewing Projekt opened its taproom in April of 2015. After the first two years in operation, The Brewing Projekt has outgrown its 2000 N location and is slated to move across the street into the much larger 1807 N Oxford building. We promise we won't spam the sh*t out of you. Proudly brewed by a bunch of jack-wagons in Downtown Eau Claire.